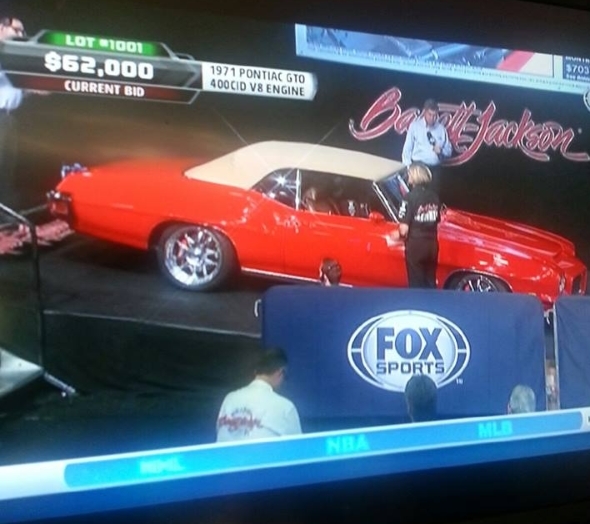 The GTO sold for $62,000… ironically exactly what I was asking for it last summer. 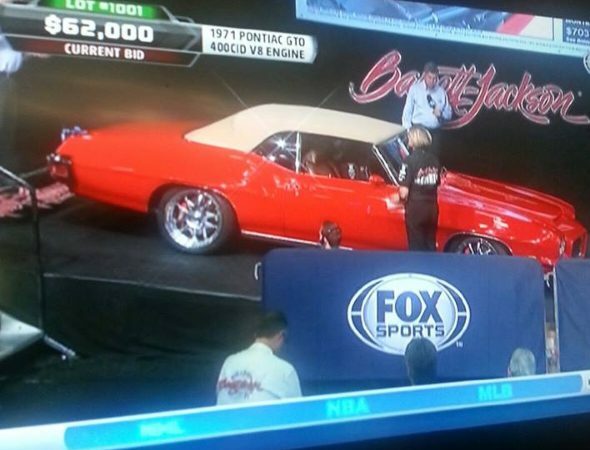 The GTO sold for $62,000… ironically exactly what I was asking for it last summer. Right money in my opinion. I never did find out who bought it, but somebody emailed me a screenshot of a guy that looked like Larry Bird. Whoever it is… they got a great car. Nope. 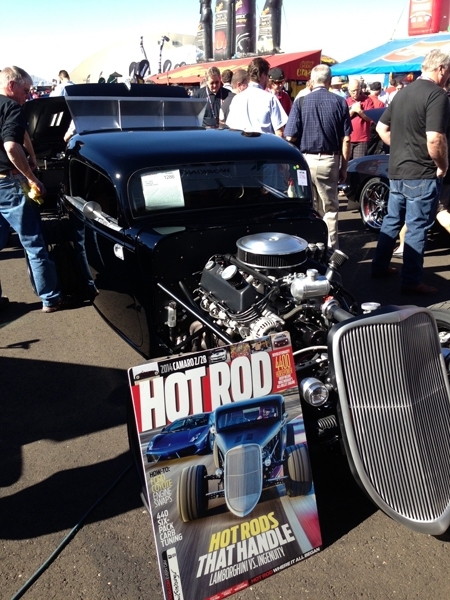 There is absolutely no more robust environment for buying or selling a car than Barrett-Jackson. 1. To demonstrate and promote our new coilover shock product line with a car that was light and competitive. Remember that “win on Sunday, sell on Monday” thingy? Mission accomplished. 2. To exercise and refine our design and fabrication talents. I think that went pretty well, too. As a happy coincidence we were blessed with the Goodguys Autocross championship, the cover of Hotrod magazine, a 10-page article in Hotrod, winning the Optima Road America event, winning several other Autocross and road course events… and talking to a bunch of you guys who thought a road racing street rod was the coolest thing ever. 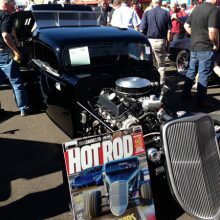 I do know who bought the ’33… He also bought Velocity in 2011 and my blue ’56 F100 a few years back. He understands and appreciates craftsmanship, and is willing and capable of spending his money to achieve that. He is also smart… that is why he didn’t meet my asking price last summer… he knew how narrow the market would be for that car and was willing to take his chances at Barrett (as was I). He will use and care for the car nicely. I am very pleased he ended up with it. A successful week? Damn right. The only success that could be bigger is the next one. Kurt Blackgrove, Dennis Neihaus and Greg Schneider build the finest cars in the world. It continues to be an honor to work with them and to drive their creations. Now I’ll get the chance to do it all over again! Some of you may remember my silver ’69 Mustang that I raced a few years ago. It’ll be good to get back in that car again!